So let’s jump right in and discover 3 of these little known ways to turn you into an endurance beast. In part 2 and part 3, we will be looking at 9 other ways. 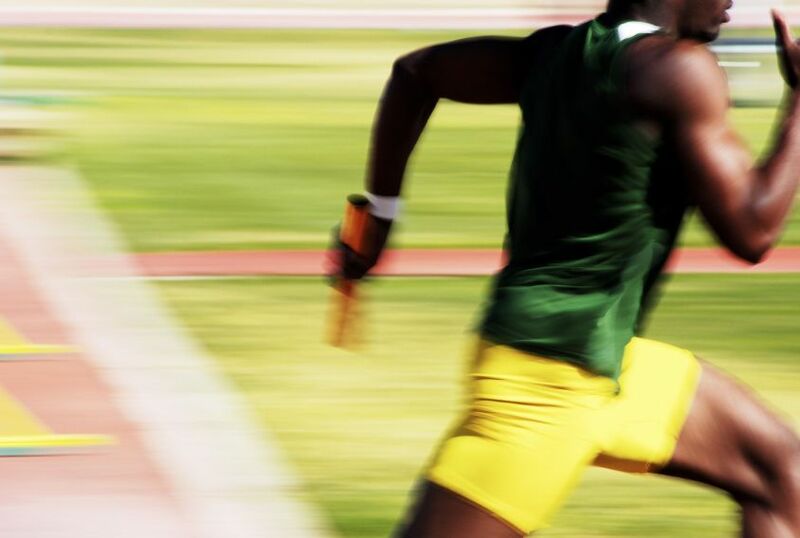 Overspeed training is, exactly as it sounds. It is the practice of training your limbs to turnover at a higher speed – a speed over what feels comfortable or natural. Just imagine The Road Runner from the old Looney Tunes cartoons. Before jumping into the specific techniques of overspeed training, it’s important to understand that by spinning your legs extremely fast on a bicycle, or running at an insanely high turnover, or swimming windmill-style, you’re not necessarily replicating what you plan on doing in a race. For example, in the case of cycling, research has shown that lower cycling cadences, such as 60rpm, can actually result in significantly better efficiency and economy compared to cadence of 80rpm or 100rpm. And the folks over at SwimSmooth have a fantastic stroke rate chart which shows that many swimmers will actually do just fine with a relatively low stroke count. But here’s why overspeed training works: it is an effective method to recruit new muscle tissue; specifically by engaging more muscle motor units than if you’d trained at lower speeds. This is called a “neural adaptation,” and you can consider it a form of training for your nervous system. Through overspeed training, not only does your brain literally learn how to fire faster and control your muscles more efficiently at higher speeds, but you also develop more powerful and quick muscle fiber contractions, which comes in handy for hard surges during a race or tough workout. Use a dry, non-bumpy grass area that allows you to sprint about 40-50 feet down a slope and then sprint another 40-50 feet once you reached the flat (to allow for the continuation of the overspeed effect without the assistance of gravity). Research indicates a downhill grade of about 5.0% is ideal, but don’t feel like you need to go to the golf course with surveying equipment to find the best slope. Just run down a relatively steep hill that isn’t so steep you fall over on your face. If you really want to get fancy with overspeed running, you can grab a partner (or a pole) and an overspeed bungee for your repeats. A downhill slope or an indoor trainer works best for these efforts, although you can get them done on the flats in a low gear, such as using your small chainring. After a good warm-up, simply choose the lowest possible resistance that allows you to spin at an extremely fast rate without bouncing in the saddle. Spin at the fastest possible cadence (preferably higher than 120RPM) for a maximum of 30 seconds, and then give yourself full recovery before beginning the next set. For this workout, you need swim stretch cords. I’ve just used a good set of fins to allow me to swim faster, but you’ll get better results with less muscular and cardiovascular fatigue by using stretch cords. With the stretch cords attached to your waist, you simply swim as far away from the wall as possible, then turn and let the cords pull you back at a much faster pace than you’d be able to swim unassisted. If you do this correctly, you’re going to find your stroke turnover rate is incredibly difficult to maintain. You can insert this kind of overspeed training at the beginning or the end of one of your weekly swim sets. You should know that overspeed running can create significant eccentric muscular damage, caused by your brain attempting to “slow you down” just slightly with each step. The ensuing soreness caused by this protective deceleration can be pretty uncomfortable a day or two after an overspeed workout. To minimize this soreness, introduce overspeed training into your program only after you’ve gotten a solid 6-8 weeks of weight training and plyometric training under your belt. Although swimming and cycling overspeed training doesn’t cause significant muscle tissue damage, your neuromuscular system does need plenty of time to recover and regenerate, so even for these exercise methods, I don’t recommend overspeed sessions more than once per week. Compared to overspeed training, underspeed is better suited for building strength and force production capability. Similar to overspeed training, underspeed can also assist in development of efficient movement patterns and muscle fiber recruitment (but without quite as potent a neuromuscular “brain-training” effect as moving your limbs extremely fast). In a podcast interview I did with Ironman triathlon champion Chris McCormack, I was actually surprised to hear about the amount of underspeed “grinding” sessions he actually performs on the bike – sessions which he recommends specifically due to their ability to stave off fatigue late in a long race. Underspeed training sessions also come in quite handy early in a race season, when strength building and development of proper movement patterns is more crucial than heavy use of intervals and overspeed efforts. Weight training could technically also be considered a form of underspeed training. I first discovered a guy named Jay Schroeder in the winter of 2013, when I attended a biohacking conference in which he demonstrated the use of isometric exercise and superslow sets. He uses these techniques with many of the professional athletes he trains, often in combination with electrostimulation. If you’ve ever performed a wall squat, in which you sit in an imaginary chair with your back against the wall for as long as you possibly can, then you’re familiar with the teeth-gritting high levels of lactic acid and muscle burn that isometric training can produce. Alternatively, you could simply try this the next time you’re at the gym: lift your normal weight, but take 10 seconds to lift and 10 seconds to lower. As I mentioned earlier, Jay’s clients also combine heavy weight training or isometric body weight exercises combined with electrostimulation, and if you happen to own an electrostimulation device, you can recruit even more muscles and enhance the results of your isometric or super slow training. The cardiovascular response to resistance training is an idea I first encountered when I interviewed the author of the book “Body By Science,” a physician named Doug McGuff, in my podcast episode “Does Weight Training Count As Cardio?”. As you’ve already learned, your cardiovascular system pumps oxygen and nutrient rich blood to the tissues of your body. The “cardio” part of the word cardiovascular refers to your heart, which is responsible for pumping the blood, and the “vascular” part of the word cardiovascular refers to your blood vessels, which are comprised of an arterial system which transports blood from your heart to your tissues and a venous system which carries blood back from those tissues to your heart. The resistance that your heart has to pump against and the amount of blood your heart can pump out (your cardiac output) is directly influenced by the size of those blood vessels. Venous return of blood back to your heart is partially dependent on muscle contractions. In other words, forceful muscle contractions enhance cardiac return. An article in the June 1999 issue of the American Journal of Cardiology actually observed this very phenomenon. In the research, a catheter was used to measure pressure changes during a high weight leg press exercise in patients with stable congestive heart failure. The participants experienced significantly increased heart rate and arterial blood pressure, but significantly decreased peripheral vascular resistance and increased cardiac output (that’s just one of many studies that Doug McGuff references in an excellent article he’s written on cardiovascular adaptations to resistance training). But an increase in cardiac output is just one way that the intense resistance encountered during isometric or superslow training can assist with endurance, because next you get the benefit of the burn itself. Lactic acid gets a bad rap, but the acidosis or “burn” associated with muscle fatigue has very little to do with the formation of lactic acid. The development of acidosis during intense exercise has traditionally been explained by the increased production of lactic acid – which causes the release of a hydrogen ion and the formation of an acidic salt called “sodium lactate.” On the basis of this seemingly logical explanation, if the rate of lactate production is high enough, then your body simply can’t buffer those hydrogen ions fast enough, and this event results in a decrease in cellular pH and that dreaded burn. Exercise scientists call this effect “lactic acidosis,” and it has been a classic explanation of the biochemistry of muscle burn for more than 80 years. But in fact, there is zero biochemical evidence that increased lactate production causes acidosis and muscle burn or muscle fatigue. As a matter of fact, lactate production can actually decrease acidosis. It goes like this: water (H2O) is used to break down or “hydrolyze” ATP to make energy, and this results in one acidic H+ ion (from the water) + ADP + P (phosphate) + energy for whatever you need. As you can see, every time ATP is broken down to ADP and P, an H+ ion (a proton) is released. When the energy and ATP demand of contracting muscles is met by mitochondrial respiration, there is no proton accumulation in the cell. How can this be? Because those same hydrogen ions are used by your mitochondria to recombine ADP and P to regenerate ATP and to maintain what is called the “proton gradient” in the intermembranous space of your muscle cells. So why is lactic acid associated with muscle burn? Because as you break down sugars more and more at higher intensities, you need more of a molecule called “NAD,” which can actually be supplied by increased lactate production. Thus increased lactate production coincides with acidosis and is a good marker for cell conditions that induce metabolic acidosis. But if your muscles did use sugars and phosphate to generate extra ATP, and did not produce lactate as a byproduct of this use, then acidosis and muscle fatigue would occur more quickly because your mitochondria would get outmatched more quickly, and exercise performance would be severely impaired in the absence of lactic acid production. So lactic acid can actually be used as a significant fuel source! As you can probably guess, when you include activities that produce high amounts of lactic acid, such as HIIT or with high amounts of resistance or with isometric holds, you can teach your body how to do that more efficiently. Most chemical reactions in your body take place in a series of several steps. In chemistry, the rate (or velocity) of a reaction with several steps is often determined by the slowest step, which is known as the rate-limiting step. A significant rate limiting step of converting lactic acid into glucose is the conversion of the molecule Nicotinamide Adenine Dinucleotide (NAD) into Nicotinamide Adenine Dinucleotide Hydrogenase (NADH). So what does this have to do with oxaloacetate? In studies, acute oxaloacetate exposure enhances resistance to fatigue by increasing NAD to NADH conversion and allowing lactic acid to get recycled and converted to glucose at a much higher rate. As a matter of fact, along with calorie restriction, enhancing your Cori cycle efficiency is also one of the ways that you can significantly increase the enzyme AMPK, which can upregulate mitochondrial biogenesis and improve both carbohydrate and fuel utilization. Basically, this means that you can become a complete lactic acid metabolizing endurance beast if you take about 100-200mg of oxaloacetate in supplement form 15-30 minutes prior to a workout that includes high intensity intervals, super slow training, or isometrics. But your body can learn how to utilize the correct muscles, and just like any movement, it’s easier to learn how to use the right muscles when you train slow or you hold a position, with an emphasis on maximally activating specific muscle groups. So when you use something like isometrics or superslow training, you simply have less distraction and more time under tension for any particular position you’re trying to learn or perfect. Thus you’re able to sense the proper muscles that you need to activate and better understand how to get there. Take the lunge, for example. It roughly simulates the single leg “landing” phase of a run. When you’re able to use a superslow or isometric lunge to mentally focus on recruiting the correct musculature for that landing phase, you develop better body awareness (also known as “kinesthesia”) and learn how to properly activate your hamstring during that specific phase of running. In particular, you are learning how to actively pull yourself down instead of simply giving in to gravity and collapsing when your foot strikes the ground. An added benefit to this improvement in muscle activation is that in addition to learning how to utilize the proper muscles for any given movement, you are also training your joints to move through the full range of motion for that movement. As you move slowly through or deeper into a joint angle, there is a significant amount of stretch placed on the fascia, which is the layer of fibrous connective tissue that surrounds your muscles. As this occurs, you can gain dynamic range-of-motion and flexibility that far exceeds what you might experience from a static stretching protocol such as yoga. For example, by performing 5 minute long deep isometric doorway pushups, I’ve found that my shoulder range-of-motion while swimming has significantly improved. a) Include a weekly resistance training session in which you incorporate at least one move or a series of moves performed very slowly. One short but highly effective strength+cardio session that I give many of my athletes once per week can easily be performed using weight machines, body weight, free weights, or a suspension trainer. Simply perform one set of each of the following. You can do isometrics as part of your current weight training routine. For example, prior to doing a set of barbell squats, you can perform a 2-5 minute isometric wall squat hold. This can actually have what is called a “potentiating effect.” The exercise scientist Dr. Yuri Verkhoshansky has stated that this potentiation effect can cause an isometric exercise such as a squat hold to increase the force of a similar exercise you do after the hold (such as a barbell or dumbbell squat) by up to twenty percent! But muscle is bulky, isn’t it? It doesn’t take much of a signal to recruit slow-twitch, or endurance muscle fibers in a motor unit. It takes a stronger signal to recruit fast-twitch, or explosive muscle fibers. However, the goal of weight training is not to increase the signal to the fibers, but rather to train the body to be able to recruit multiple motor units, whether those motor units are comprised of slow-twitch or fast-twitch muscle fibers. Better athletes have the capability to recruit multiple motor units, which means more fibers are firing, which increases force production. The four reasons I’ve listed above are not the only benefits of weight training for endurance athletes. Over 20 years of research have successfully demonstrated lower injury rates for the shoulders, knees, hamstrings, low back and ankles in athletes including swimmers, cyclists and runners when weight training was used to strength the soft tissue surrounding and supporting the joints. In some cases, injury prevention is due to correction of a muscular imbalance through the use of targeted weight training, and in other cases, injury prevention is due to the increased ability of a joint to absorb impact. What did you think of these endurance training tips? Have any that you’d like to share? Let me know in the comments below! Ready for part 2 of this article series?